We received a gift card in order to facilitate this craft. All ideas are our own. First off, we are usually always given a $25 limit which makes it affordable. 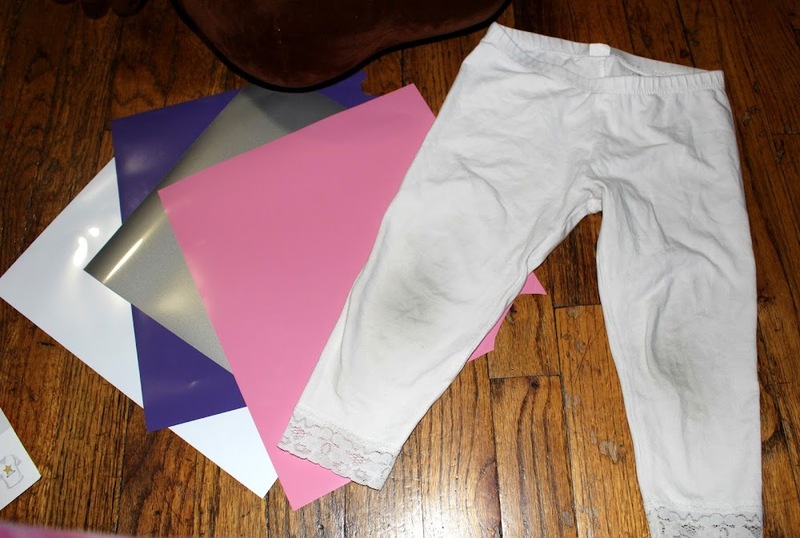 For this craft, I used a plain tee, leggings that my kid clearly cleaned the floors with, printable transfer sheets, Heat Press Vinyl Transfer Sheets, and an iron. I used the trusty old Google search engine to look up PNG images of the emojis that we wanted to use. 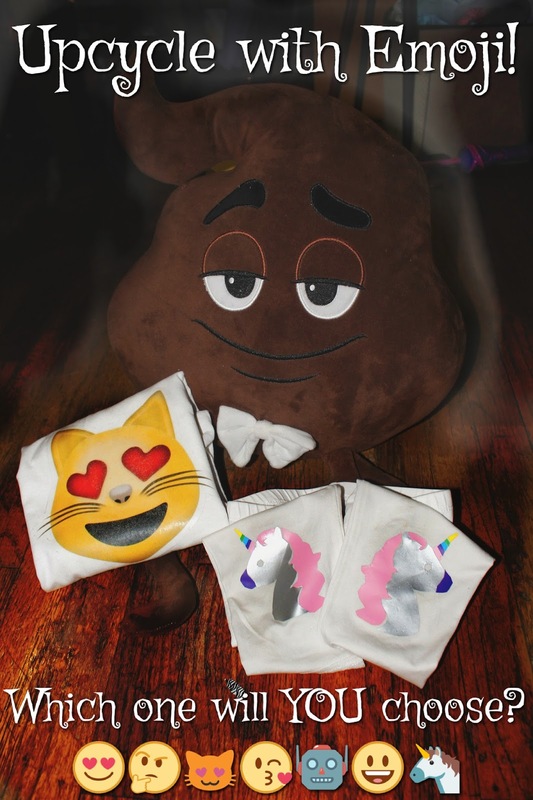 I scaled the Heart Eyed Cat emoji to a bigger size that wouldn't look too small on the shirt and I scaled the Unicorn Emoji down to about 2x3 inches for each legging knee. 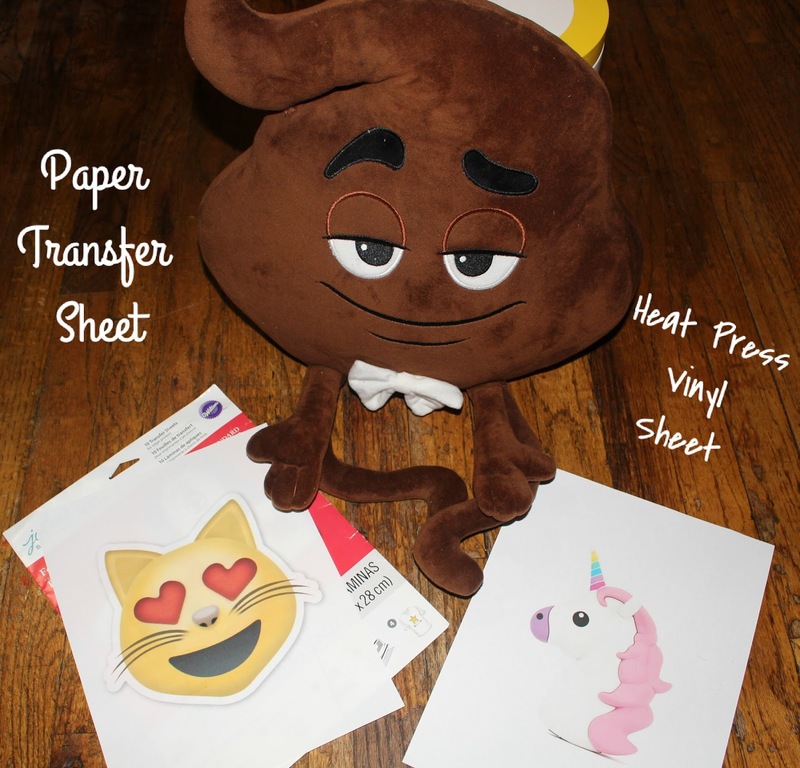 I printed the Cat Emoji on a Printable Transfer sheet and printed the Unicorn on regular paper. 1) I cut out the Unicorn Emoji and then cut the parts of the Unicorn into sections (ie: Mane, Body, Horn, Bang, Nose). This helped me cut out each of the Heat Press Vinyl colors I wanted for each part of the unicorn. To save time, I would do one cut out the right way, then reverse the section and cut it that way. 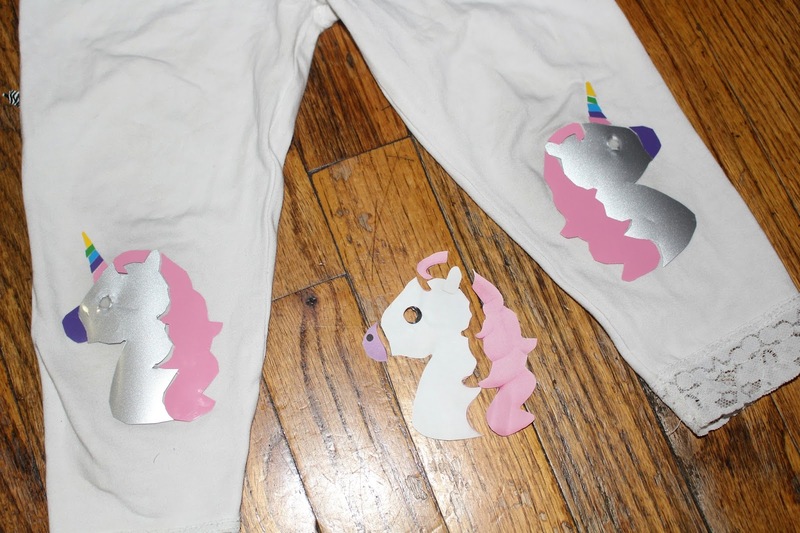 2) Once I got all of my vinyl pieces cut, I placed them exactly where I wanted on the leggings. 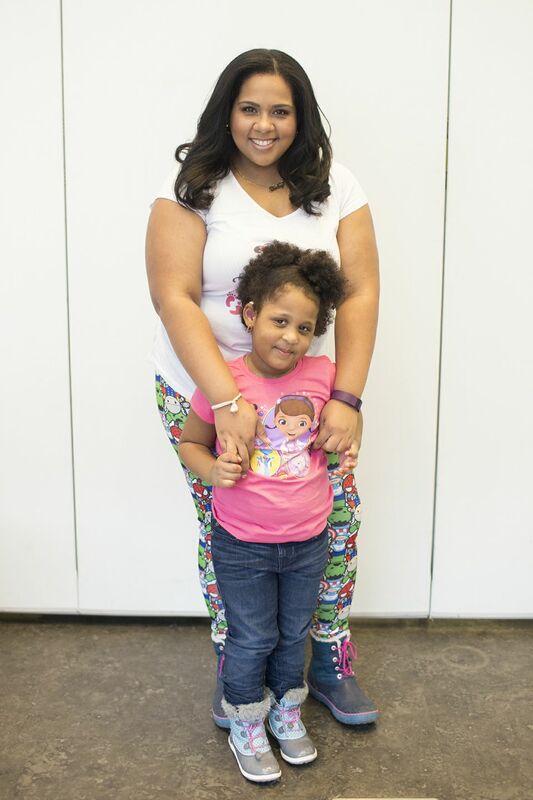 It was sort of like a Puzzle Piece that fit perfectly together. 3) Lastly, I got a piece of wax paper to put over the creation and pressed down hard with the very hot Iron. About 30 seconds per Unicorn part. Let it cool for about a minute before you peel off the plastic backing that the transfer sheets come with. 1) We Grabbed the Emoji that we printed on the Printable transfer sheet and cut out just the Emoji as we didn't want any excess. 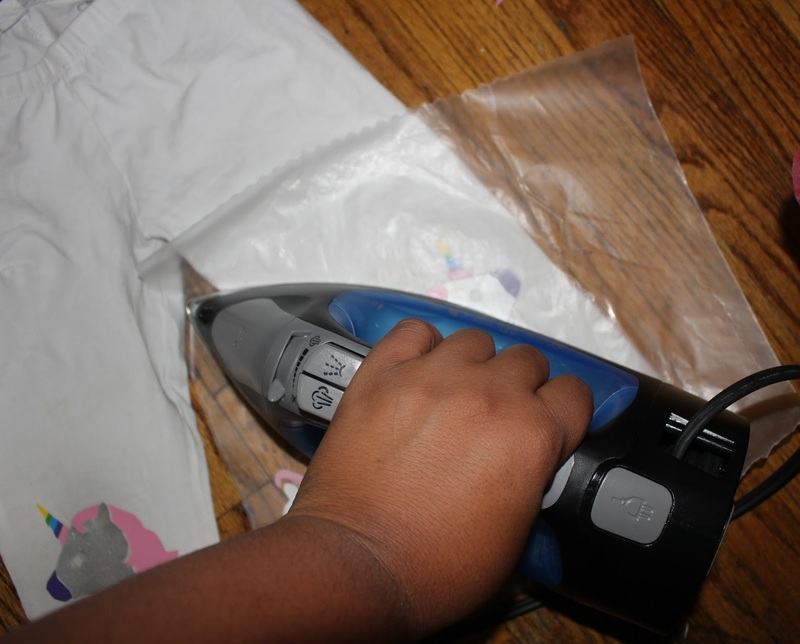 2) Place it on the shirt or Hoody, or anything that you are using and place the hot iron on Back of transfer sheet. 3) Apply pressure for 40-45 seconds, then let cool for a few seconds. Start to peel off the backing being careful that you don't have any of the design sticking to the backing. If it does come up just place the backing back down and apply more heat and pressure. This should fix any issues and your Emoji is ON your Tee! 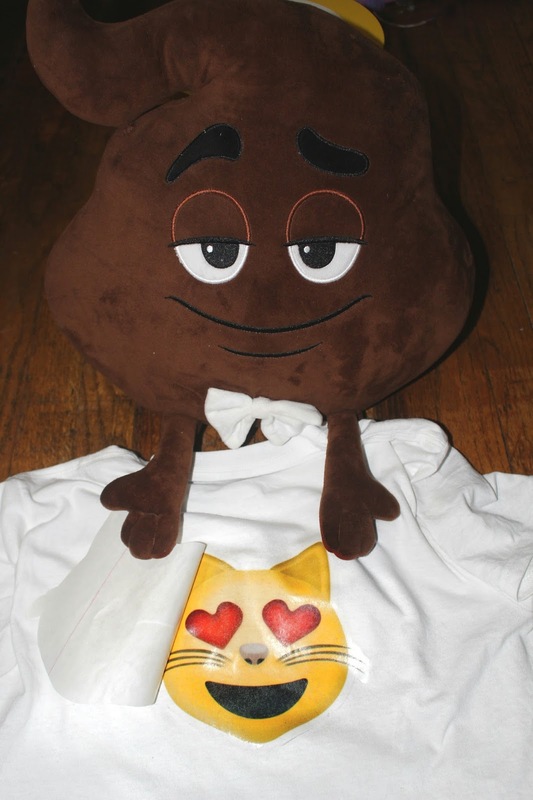 We plan on watching the Film again so we'll definitely be wearing our Emoji-fied outfit this time. Are you going to watch the movie? Who's your FAVORITE EMOJI?